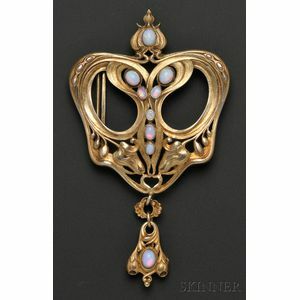 Art Nouveau Sterling Silver-gilt and Opal Buckle, Gorham, the elaborate scrolling form with bud motifs, bezel-set with opal cabochons, and suspending a drop, 4 1/2 x 2 3/4 in., no. B1372, with maker's marks. 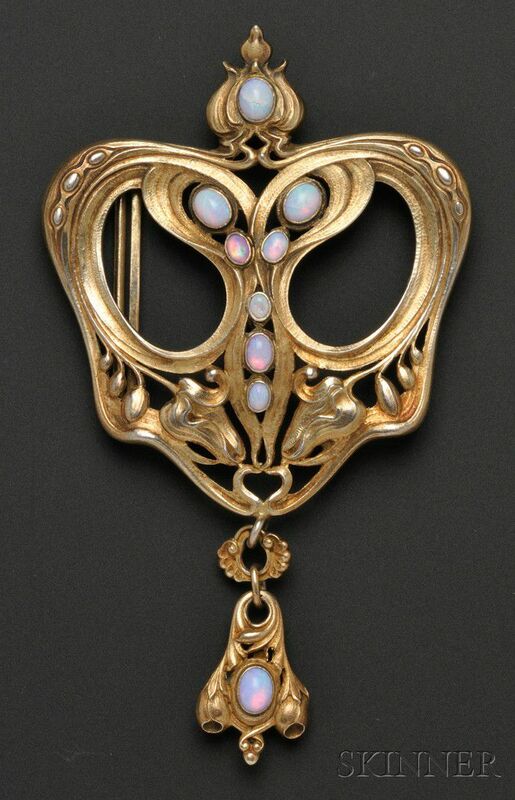 Opals crazed, one cracked though, and are backed so we cannot tell if doublets. Bend to ring suspending drop.